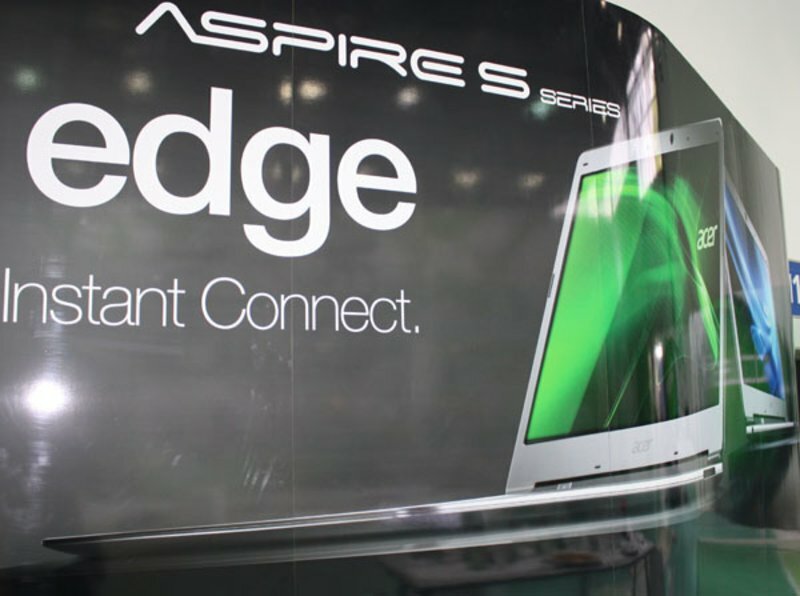 Acer was one of the first manufacturers to jump in to the ultrabook arena and its first entry to the series was recently leaked as the Aspire 3951. According to NotebookItalia, this ultrathin Acer should be making its official debut at the IFA expo this Friday. The Acer ultrabook will reportedly begin a new Aspire lineup called the Aspire S Series, which will initially include 13.3-inch and 11-inch models. The 13.3-inch Aspire S3 could be shipping with an Intel Core i5-2467M, 4GB RAM and a dual 320GB HDD with 20GB SDD. The solid-state drive would presumably be used for speeding up boot times. Higher spec options, such as an Intel Core i7 CPU with a 128GB SSD, should also be made available according to Electronista. The source was able to spot the Acer Aspire S3 online for 786.19 Euros (1130 USD), which is above the $1000 USD retail limit of an ultrabook. Of course, nothing is for certain until later this week when the notebook should finally be formally announced.